Movement of railway traffic in Chennai and other parts of Tamil Nadu was severely affected on Wednesday by the continuing downpour, said to be the worst in the last ten years. 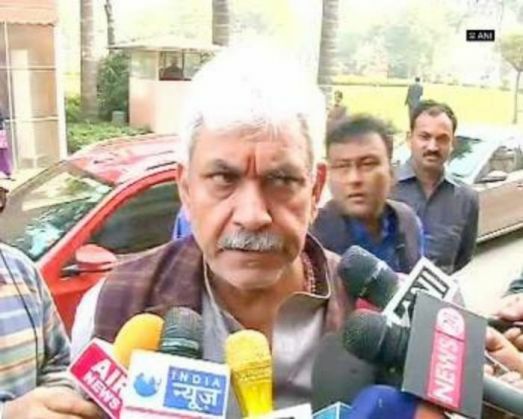 Minister of State for Railways, Manoj Sinha maintained that the safety of passengers is a matter of top priority for the government. "Safety of the passengers is the priority and we would take adequate steps to ensure the safety of the passengers. The services have been seriously hit, and the exact figures are not there, I would share it when it comes," Sinha told the media here. Sinha also said that the ministry has asked the officials to keep a close eye on the situation. "Directions have been given to officers to treat the safety of the passengers with the topmost priority," he added. Heavy rains since Monday night pounded several parts of Chennai and have completely disrupted normal life. The army and the navy has been deployed in two suburban areas of the city to undertake rescue operations on a war footing. Meanwhile, Prime Minister Narendra Modi also met senior cabinet ministers, including Rajnath Singh, Arun Jaitley, Sushma Swaraj and Venkaiah Naidu and reportedly discussed emergency measures to be taken to assist the government in rain-ravaged Tamil Nadu, and especially help the people of Chennai, which has been the recipient of heavy rains over the last week. Parliamentary Affairs Minister M. Venkaiah Naidu said the Government of India was willing to extend all support, saying "This is not just a Chennai problem; it is a problem of the entire country." Union Environment Minister Prakash Javadekar refused to link the rain-ravaged situation in Tamil Nadu directly to climate change, saying it was natural calamity. "What has happened in Chennai over last ten days is absolutely a very serious situation, this can't be directly attributed to climate change; it is a natural calamity, but this calamity needs to be tackled effectively," Javadekar told the media here.